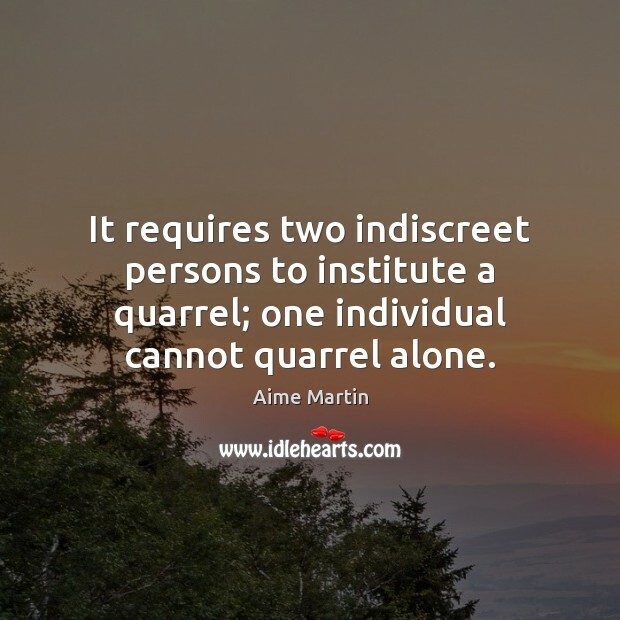 Enjoy the best inspirational, motivational, positive, funny and famous quotes by Aime Martin. Use words and picture quotations to push forward and inspire you keep going in life! 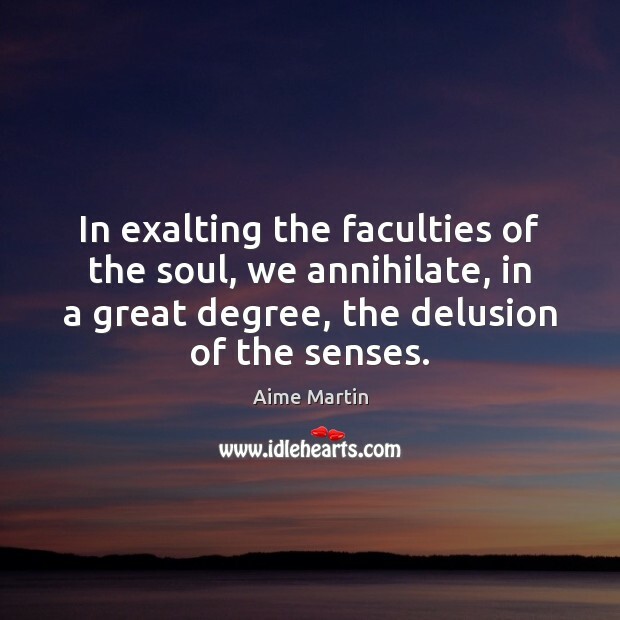 In exalting the faculties of the soul, we annihilate, in a great degree, the delusion of the senses. 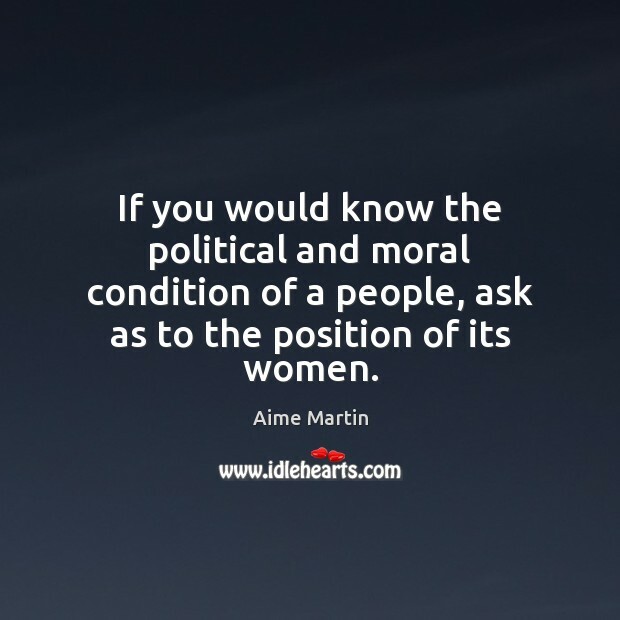 Whatever may be the laws and customs of a country, women always give the tone to morals. 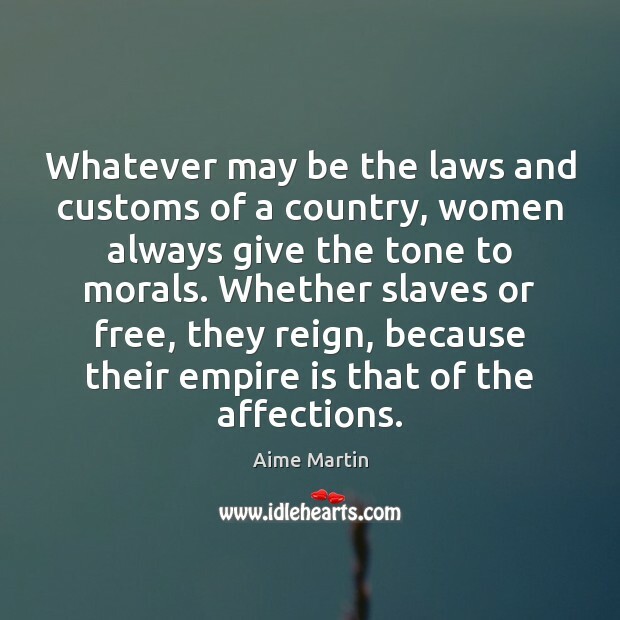 Whether slaves or free, they reign, because their empire is that of the affections. 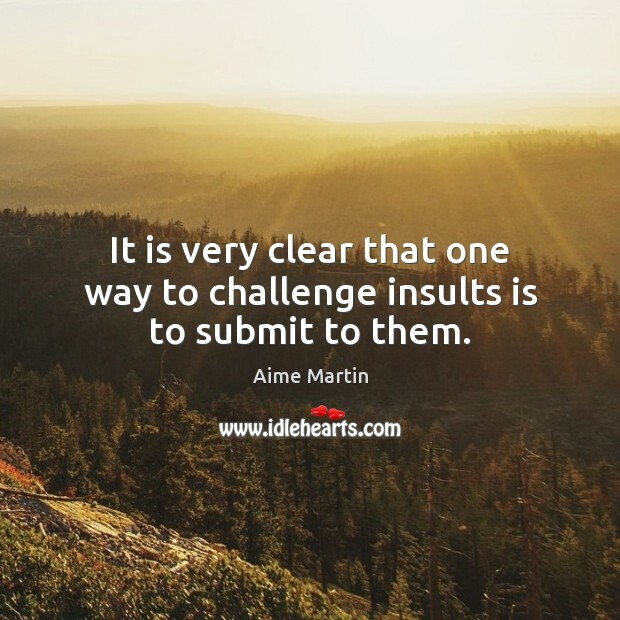 It is very clear that one way to challenge insults is to submit to them. 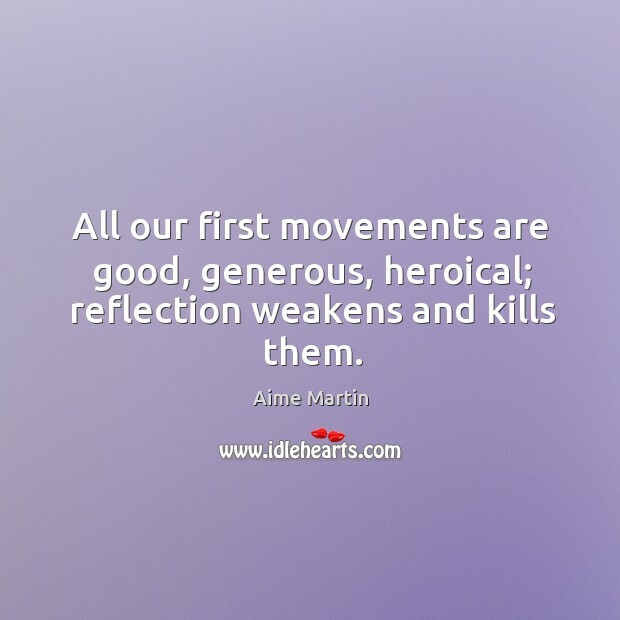 All our first movements are good, generous, heroical; reflection weakens and kills them.